America's former terror suspects are embarking on new lives as refugees in Albania. The impoverished eastern European nation has become the new destination for a special category of prisoner - men whom the US feels it is right to release but risky to repatriate. Asylum has already been arranged in Albania for eight former Guantanamo Bay detainees who the US says would face torture if sent back home. Their transfer marks a new trend in the "war on terror". Experts say dozens of men due to be released from Guantanamo could soon follow suit because of US concerns over human rights in their home countries. Among them, according to human rights lawyer Clive Stafford Smith, are Uzbeks, Algerians, Tunisians, Egyptians and Libyans. Mr Stafford Smith, whose Reprieve charity has campaigned for many held at Guantanamo Bay, says finalising the fate of such prisoners is "a major obstacle to the camp's closure". So far, he says, "Albania has been the only place willing to take them in." Mr Stafford Smith argues that more countries should take responsibility for rehabilitating released Guantanamo inmates who are, in effect, refugees. 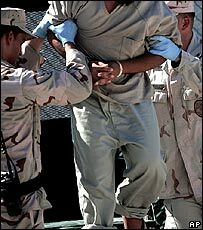 His view is echoed by the US Government, which disagrees with Mr Stafford Smith on many other aspects of detainees' rights. The US State Department's deputy director for war crimes attacks the apparent hypocrisy of countries that decry Guantanamo as illegal but refuse to help rehabilitate its former prisoners. "Everyone is very quick to criticise and call for Guantanamo's closure," Sandy Hodgkinson says. But, she says, few countries offer "credible alternatives in difficult human rights cases". Some 100 countries rejected US requests to provide asylum to freed terror suspects before Albania stepped forward, Ms Hodgkinson says. Adil Abdul Hakim was one of the first to arrive there. His encounter with the American military began on the battlefields of Afghanistan and ended, four years later, in Albania. In his late 20s when he entered Guantanamo Bay, he emerged from the prison camp last summer a homesick 32-year-old. From his new eastern European home, he telephoned the family he had left behind in western China. They had not spoken since his incarceration. "We couldn't talk," he says, of that first phone call. "They kept trying to speak but all I heard was sobbing." Adil is one of five former Guantanamo detainees from China's Xinjiang province living in a country thousands of miles away from home, with a language and customs alien to them. Their story, though strange, is no longer an anomaly. Since their arrival last summer, Albania has also accepted former Guantanamo inmates of Egyptian, Algerian and Uzbek origin. 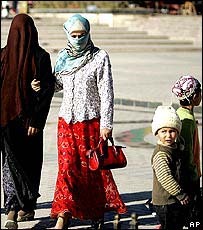 The five men from Xinjiang are ethnic Uighurs, who practise Islam and speak a Turkic language, unlike most Chinese. Having brought the men from Afghanistan, the US military later ruled they were "no longer enemy combatants" and posed no threat to the US. The military decided the men must be released - but this posed new problems. 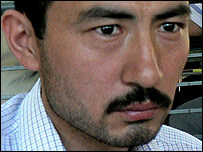 China regarded them as Uighur separatist militants and demanded the US return them so they may face charges at home. The US State Department said they would face torture if sent back to China and set about trying to find them another home. "The US position is clear - we will not send individuals to places where we believe it is more than likely they will be tortured," Ms Hodgkinson says. In summer 2006, Albania agreed to welcome the five men as refugees. The Chinese were infuriated and their ambassador in Tirana rebuked the Albanians. In sending them to a country other than China, the US was able to uphold its criticisms of human rights abroad. Albania thus became the unusual solution to a unique problem. 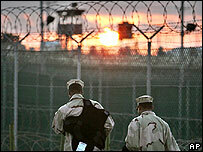 The US dispatch of terror suspects for interrogation in third countries became known as "extraordinary rendition". Now, one could say that the US has embarked on a policy of "extraordinary rehabilitation".